Our September Plant of the Month is the Dracaena. The dracaena is a genus of plant with over 100 different species. Dracaena varieties can be grown indoors or outdoors and range from small office plants to large trees. They work well on their own or in pairings. 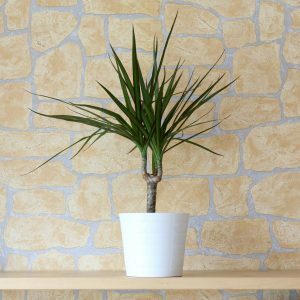 Dracaena Marginata: a dracaena marginata is also known as a Madagascar Dragon Tree. The Marginata has long, narrow spiky leaves that extend from woody cane. It comes in three color varieties. There is the tricolor, the colorama and the tarzan. The tricolor has leaves that are striped with a yellow center and green and red on the outside. The colorama is a brilliant pink and red combo. The tarzan is the normal green color seen in the image below. 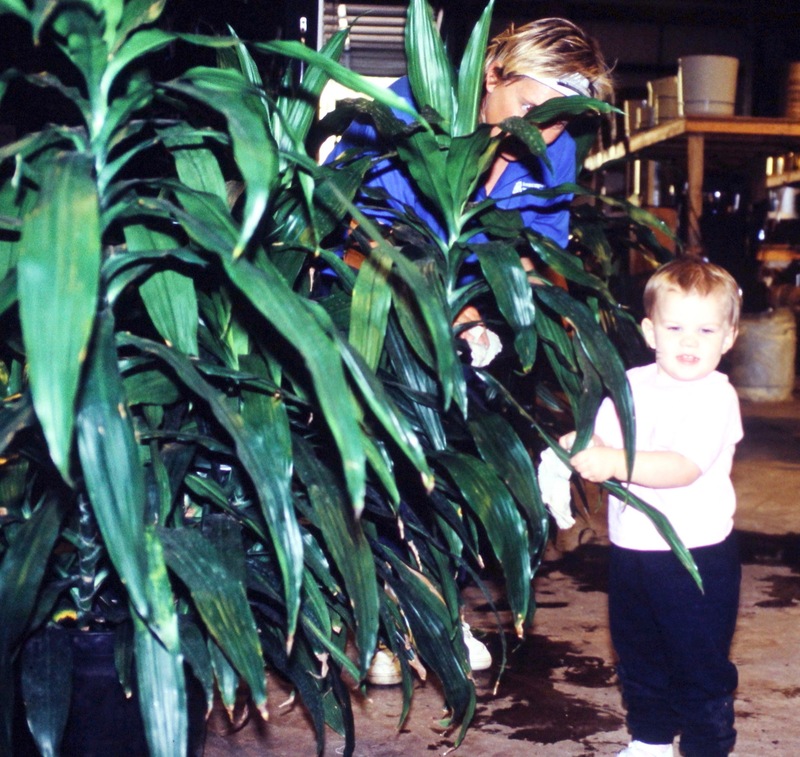 Lisa Cane: The Lisa Cane, like many other cane dracaena plants has three canes of descending height in one pot. For example, it may be a 3-2-1 cane. This means that the tallest cane is 3 feet, the medium cane is 2 feet and the smallest one is a foot tall. There are many other dracaenas that are bush like plants with wide leaves the curl outward that come in a variety of color options with names like Hawaiian Surprise, Lemon Lime, Lime Light, Dorado, Green Jewel. 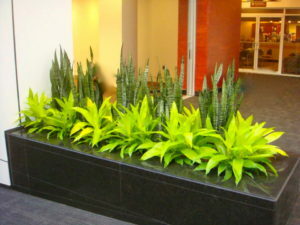 Dracaena care varies from variety to variety. The marginatas need to be tended to differently than than the lime lights. One important care tip is to make sure to dust the plants. Here’s an example of Joy’s daughter Justinn assisting one of our plant techs by dusting a dracaena. You can read more about that here. In addition to all the great indoor varieties, the cordyline, an exterior plant we talked about in June is an outdoor variety of dracaeana. 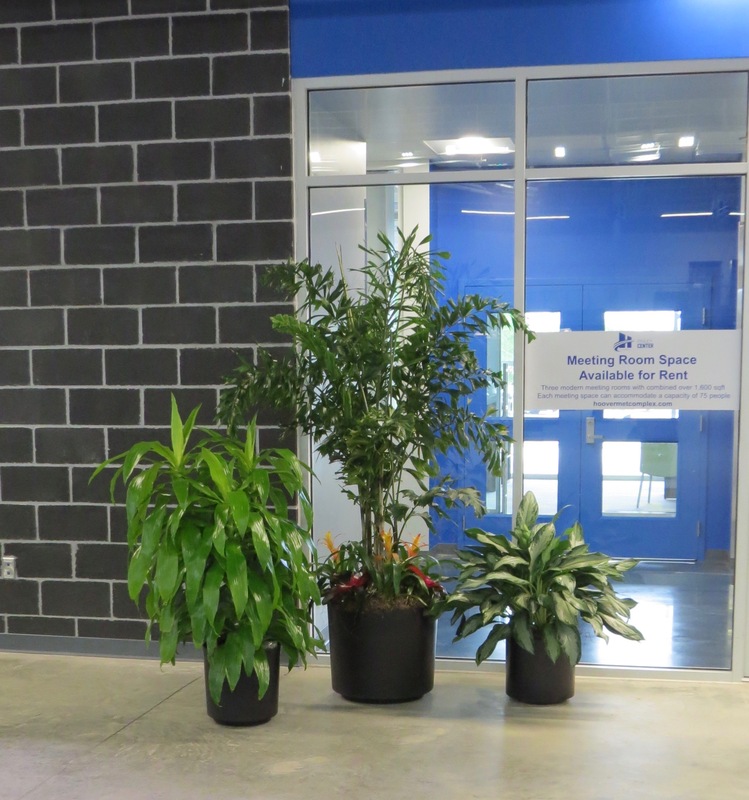 The dracaena really is a versatile category of plants. There are so many options to make the impact you want to make. One thing to keep in mind before you run off and buy one for your house is that while they are excellent at purifying the air, they aren’t good for pets. 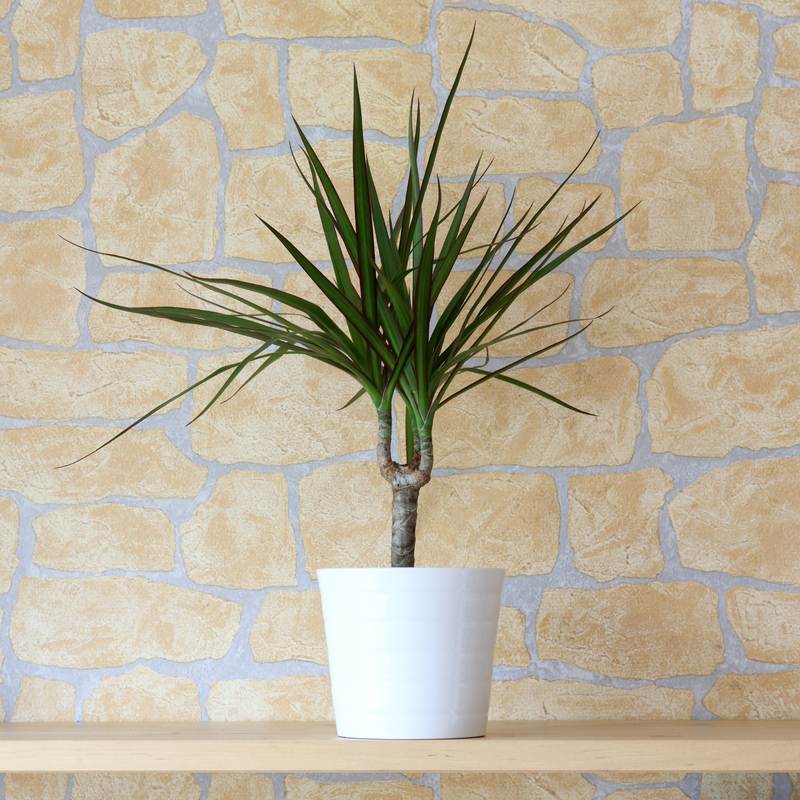 If you buy a dracaena and have beloved critters in your house, be sure to put it in a place where they can’t reach it.